There are several examples, which reveal that the surface of a solid has the tendency to attract and retain the molecules of the phase with which it comes into contact. These molecules remain only at the surface and do not go deeper into the bulk. The accumulation of molecular species at the surface rather than in the bulk of a solid or liquid is termed adsorption. The molecular species or substance, which concentrates or accumulates at the surface is termed adsorbate and the material on the surface of which the adsorption takes place is called adsorbent. Adsorption is essentially a surface phenomenon. 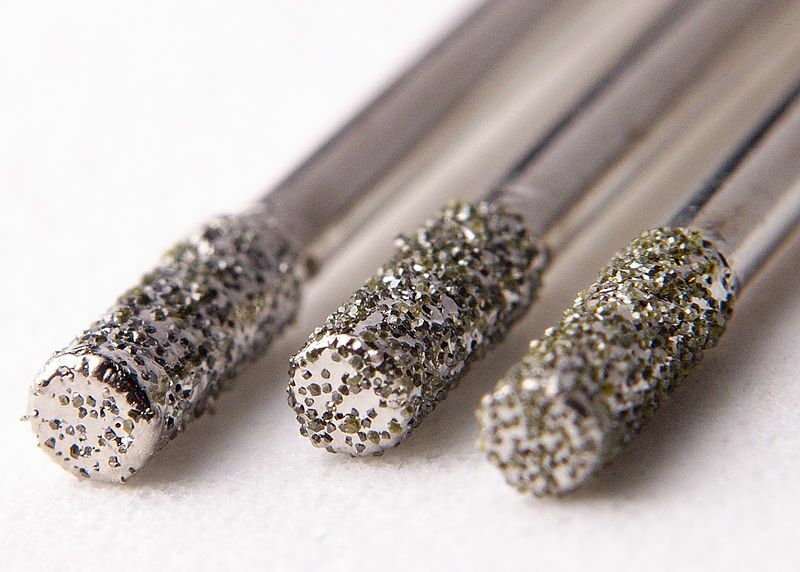 Solids, particularly in finely divided state, have large surface area and therefore, charcoal, silica gel, alumina gel, clay, colloids, metals in finely divided state, etc. act as good adsorbents. (i) If a gas like O2, H2, CO, Cl2, NH3 or SO2 is taken in a closed vessel containing powdered charcoal, it is observed that the pressure of the gas in the enclosed vessel decreases. The gas molecules concentrate at the surface of the charcoal, i.e., gases are adsorbed at the surface. (ii) In a solution of an organic dye, say methylene blue, when animal charcoal is added and the solution is well shaken, it is observed that the filtrate turns colourless. The molecules of the dye, thus, accumulate on the surface of charcoal, i.e., are adsorbed. (iii) Aqueous solution of raw sugar, when passed over beds of animal charcoal, becomes colourless as the colouring substances are adsorbed by the charcoal. (iv) The air becomes dry in the presence of silica gel because the water molecules get adsorbed on the surface of the gel. It is clear from the above examples that solid surfaces can hold the gas or liquid molecules by virtue of adsorption. The process of removing an adsorbed substance from a surface on which it is adsorbed is called desorption. In adsorption, the substance is concentrated only at the surface and does not penetrate through the surface to the bulk of the adsorbent, while in absorption, the substance is uniformly distributed throughout the bulk of the solid. For example, when a chalk stick is dipped in ink, the surface retains the colour of the ink due to adsorption of coloured molecules while the solvent of the ink goes deeper into the stick due to absorption. On breaking the chalk stick, it is found to be white from inside. A distinction can be made between absorption and adsorption by taking an example of water vapour. Water vapours are absorbed by anhydrous calcium chloride but adsorbed by silica gel. In other words, in adsorption the concentration of the adsorbate increases only at the surface of the adsorbent, while in absorption the concentration is uniform throughout the bulk of the solid. Both adsorption and absorption can take place simultaneously also. The term sorption is used to describe both the processes. for attracting the adsorbate particles on its surface.The extent of adsorption increases with the increase of surface area per unit mass of the adsorbent at a given temperature and pressure. Another important factor featuring adsorption is the heat of adsorption. During adsorption, there is always a decrease in residual forces of the surface, i.e., there is decrease in surface energy which appears as heat. Adsorption, therefore, is invariably an exothermic process. In other words, ΔH of adsorption is always negative. When a gas is adsorbed, the freedom of movement of its molecules become restricted. This amounts to decrease in the entropy of the gas after adsorption, i.e., ΔS is negative. Adsorption is thus accompanied by decrease in enthalpy as well as decrease in entropy of the system. For a process to be spontaneous, the thermodynamic requirement is that, at constant temperature and pressure, ΔG must be negative, i.e., there is a decrease in Gibbs energy. On the basis of equation, ΔG = ΔH – TΔS, ΔG can be negative if ΔH has sufficiently high negative value as – TΔS is positive. Thus, in an adsorption process, which is spontaneous, a combination of these two factors makes ΔG negative. As the adsorption proceeds, ΔH becomes less and less negative ultimately ΔH becomes equal to TΔS and ΔG becomes zero. At this state equilibrium is attained. There are mainly two types of adsorption of gases on solids. If accumulation of gas on the surface of a solid occurs on account of weak van der Waals’ forces, the adsorption is termed as physical adsorption or physisorption. When the gas molecules or atoms are held to the solid surface by chemical bonds, the adsorption is termed chemical adsorption or chemisorption. The chemical bonds may be covalent or ionic in nature. Chemisorption involves a high energy of activation and is, therefore, often referred to as activated adsorption. Sometimes these two processes occur simultaneously and it is not easy to ascertain the type of adsorption. A physical adsorption at low temperature may pass into chemisorption as the temperature is increased. For example, dihydrogen is first adsorbed on nickel by van der Waals’ forces. Molecules of hydrogen then dissociate to form hydrogen atoms which are held on the surface by chemisorption. (i) Lack of specificity: A given surface of an adsorbent does not show any preference for a particular gas as the van der Waals’ forces are universal. (ii) Nature of adsorbate: The amount of gas adsorbed by a solid depends on the nature of gas. In general, easily liquefiable gases (i.e., with higher critical temperatures) are readily adsorbed as van der Waals’ forces are stronger near the critical temperatures. 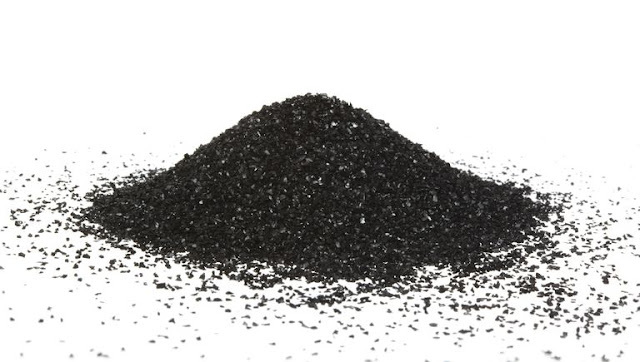 Thus, 1g of activated charcoal adsorbs more sulphur dioxide (critical temperature 630K), than methane (critical temperature 190K) which is still more than 4.5 mL of dihydrogen (critical temperature 33K). (iii) Reversible nature: Physical adsorption of a gas by a solid is generally reversible. Thus, Solid + Gas l Gas/Solid + Heat More of gas is adsorbed when pressure is increased as the volume of the gas decreases (Le–Chateliers’s principle) and the gas can be removed by decreasing pressure. Since the adsorption process is exothermic, the physical adsorption occurs readily at low temperature and decreases with increasing temperature (Le-Chatelier’s principle). 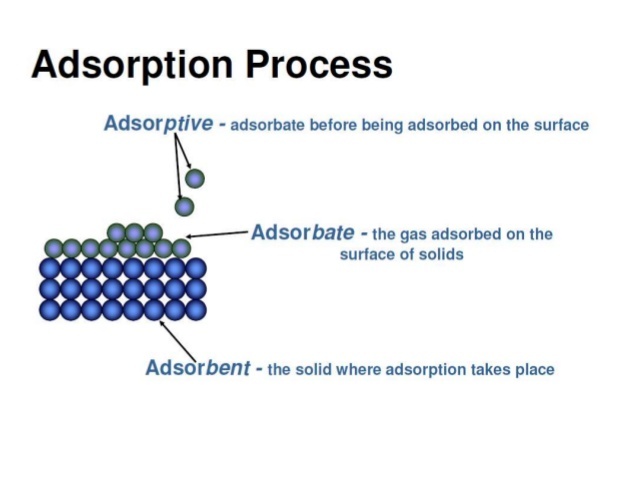 (iv) Surface area of adsorbent: The extent of adsorption increases with the increase of surface area of the adsorbent. Thus, finely divided metals and porous substances having large surface areas are good adsorbents. (v) Enthalpy of adsorption: No doubt, physical adsorption is an exothermic process but its enthalpy of adsorption is quite low (20–40 kJ mol-1). This is because the attraction between gas molecules and solid surface is only due to weak van der Waals’ forces. (i) High specificity: Chemisorption is highly specific and it will only occur if there is some possibility of chemical bonding between adsorbent and adsorbate. For example, oxygen is adsorbed on metals by virtue of oxide formation and hydrogen is adsorbed by transition metals due to hydride formation. high pressure is also favourable for chemisorption. (iii) Surface area: Like physical adsorption, chemisorption also increases with increase of surface area of the adsorbent. (iv) Enthalpy of adsorption: Enthalpy of chemisorption is high (80-240 kJ mol-1) as it involves chemical bond formation.